Very few places in the world display a straight-from-the-heart passion for jazz as Vancouver’s Cellar Jazz Club. Often compared to New York’s legendary Village Vanguard for its vibe and acoustic, Cellar has built itself the reputation as one of the best jazz venues around. There is no in-between, Cellar is all about jazz! 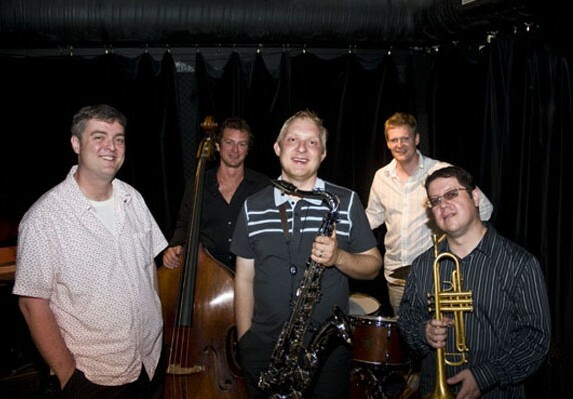 Founded in the summer of 2000 by the eclectic Cory Weeds, one of the hardest hard-working men in the jazz business, Cellar Jazz Club has quickly established itself not only as the top jazz venue in Vancouver, but as one of the top jazz clubs in the world. Opened with the goal of promoting both Vancouver and Canadian jazzists, the Cellar Jazz Club has claimed its position in the sea of jazz clubs as one of the best venues in North America. With a philosophy that is all focused toward providing a perfect live performance, the place has become without doubt one of the most popular jazz joints around (it has been nominated Vancouver’s ‘Best Jazz Joint’ by Vancouver Magazine in 2004 and ‘one of the top 100 Jazz Clubs Worldwide’ by the Downbeat International Jazz Club Guide). The keys of the club’s success are a very customer-oriented mentality (student discounts, minimum charges and other offers) and the line-up that club owner Corey Weeds puts together every week. Born and raised in British Columbia, Weeds has covered pretty much every role on the Vancouver jazz scene (musician, record producer, radio host, record label owner – he owns Cellar Live Records – and now jazz club owner) and has managed to combine Vancouver’s bests with some prominent members of the international jazz scene, such as David ‘Fatherhead’ Newman, JJA Awards’ ‘Trumpeter of the Year’ nominee Tom Harrell and Benny Golson. Weeds successfully managed to transform his passion for jazz into a ‘frenetic and alive’ meeting point called Cellar Jazz Club. If to all this you add a wide selection of delicious menus (varying from small plates to real supper plates and desserts) there is no doubt: Cellar Jazz Club is a must if you are a jazz fan and happen to be in town. Excellent food, a great jazz atmosphere and a thrilling live jazz schedule. It does not matter if you are a student, a club member or a simple tourist that accidentally happen to be at the Cellar: every passionate jazz aficionado is welcome! • Prices: $500 per person / $750 for couples per year + applicable taxes.